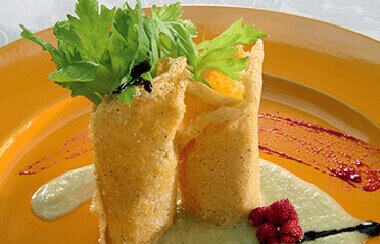 Gorgonzola IGOR has important organoleptic properties, which make this cheese the perfect ingredient for a balanced meal. In addition to that, it is indicated for those suffering from common food intolerances, such as lactose and gluten, and is a valuable ally for athletes and for the physical well-being of both adults and children. IGOR Gorgonzola not only is good, but it is also a natural source of vitamins essential to our health. With a simple bite you will provide your body with an indispensable intake of vitamin A, essential for healthy bones and muscles, and vitamins B1, B3, B6, B9, and B12. There is also a significant amount of vitamins D2, E, and K1. Are you still of the opinion that Gorgonzola is only a sin of gluttony? Cheese is generally regarded as a gluten-free food. However, back in the days, Gorgonzola was made using moulds grown on bread. Therefore, a small amount of gluten coming from the bread could contaminate the cheese. But that was a long time ago. 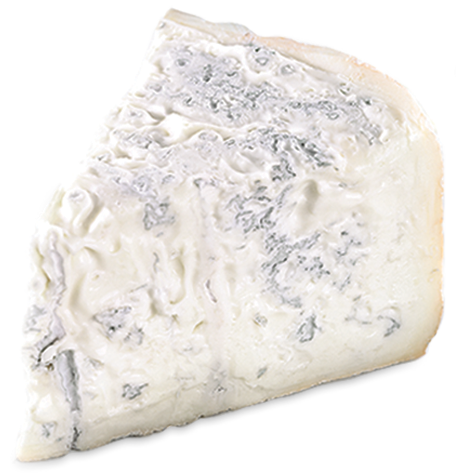 In this day and age, IGOR Gorgonzola is made using Penicillium Roqueforti derived from gluten-free raw materials. As a result, IGOR Gorgonzola can be regarded as a gluten-free cheese, suitable for people with coeliac disease. That means that you can share the delicious taste of Gorgonzola with anyone else. 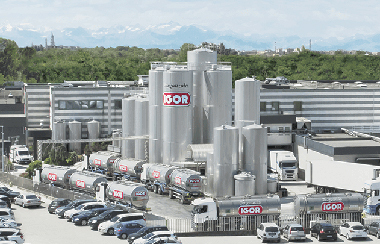 During its unique and complex production process, Gorgonzola undergoes three separate fermentations thanks to three different types of micro-organisms characteristic of this cheese (i.e. thermophilic lactic acid bacteria, Penicillium rocqueforti moulds, and Saccharomyces yeast), which, in addition to enhance the taste and smell of the cheese, break down the lactose in the cheese, releasing it into the serum. For this reason, Gorgonzola is almost completely free of lactose – it amounts to less than 0.01% – and is, therefore, very well digested even by those who are lactose intolerant. It is well-established that taking antibiotics creates an imbalance at the level of the intestinal flora. But it is also known that the intake of fermented cheese, especially blue cheeses such as Gorgonzola, help restore the bacterial colony of the digestive system. So, based on these assumptions, we can say that eating Gorgonzola is one tasty way to get back in shape. Not everyone knows that IGOR Gorgonzola is rich in volatile acids and other compounds that can stimulate gastric secretion. 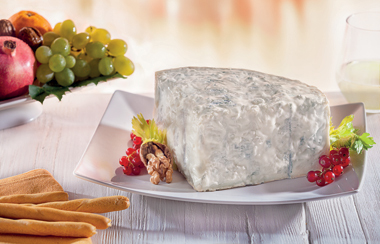 This means that IGOR Gorgonzola is the perfect appetizer before the main course because it is a delight to the palate and at the same time it improves your appetite. A good reason to enjoy it right before starting a meal! Let’s hear from an expert! Gorgonzola is a high-quality food! PERFECT FOR AN ATHLETIC DIET. CHEESE BECAUSE IT’S NEARLY LACTOSE-FREE. THE DEVELOPMENT OF THE SKELETAL MUSCLE SYSTEM.